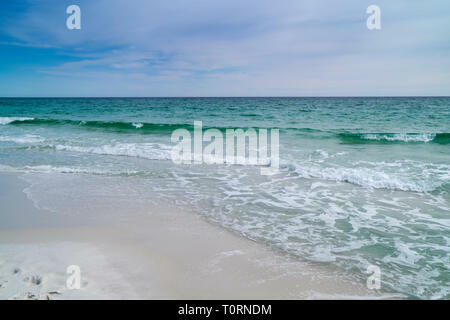 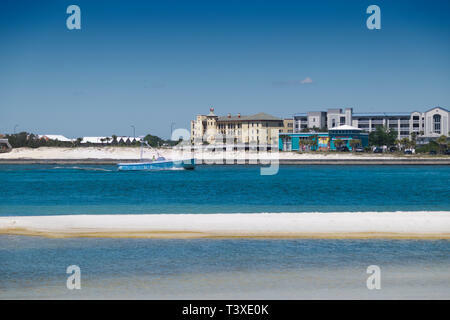 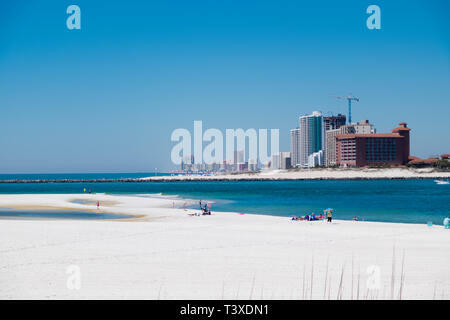 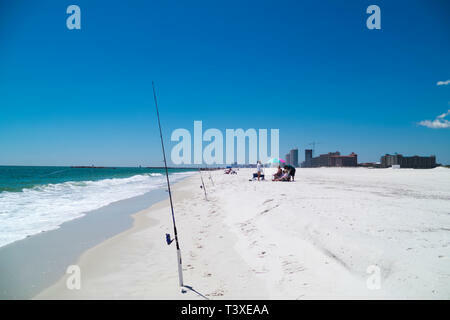 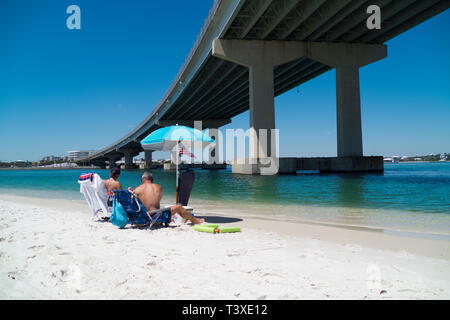 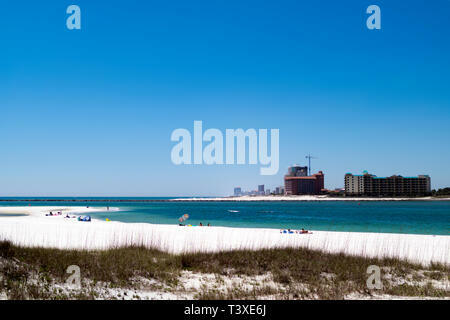 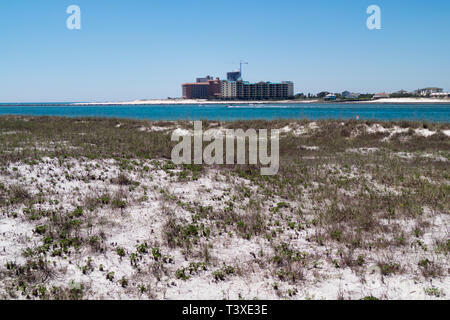 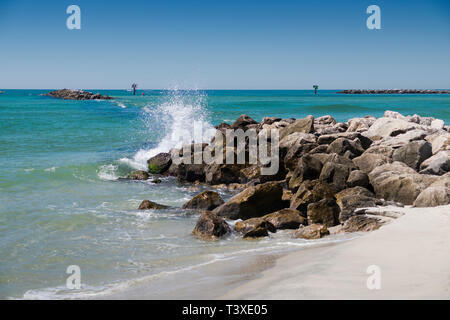 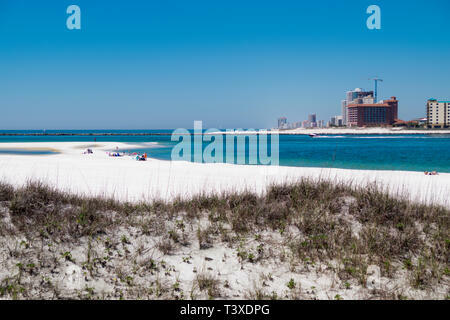 Gulf of Mexico beach at Perdido Pass in Orange Beach, Alabama, USA. 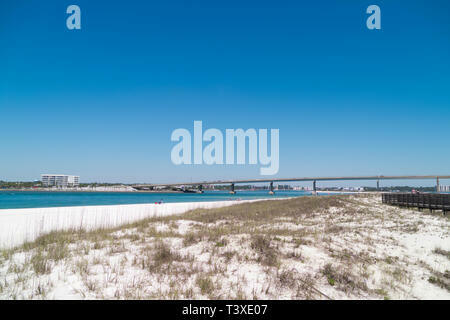 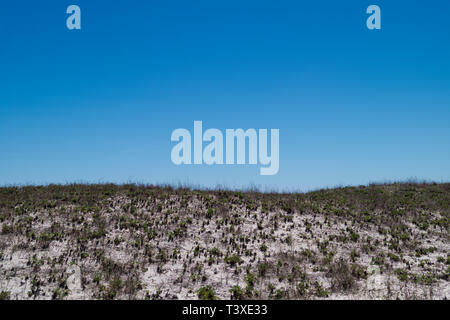 Sand dunes at the Gulf of Mexico beach at Perdido Pass in Orange Beach, Alabama, USA. 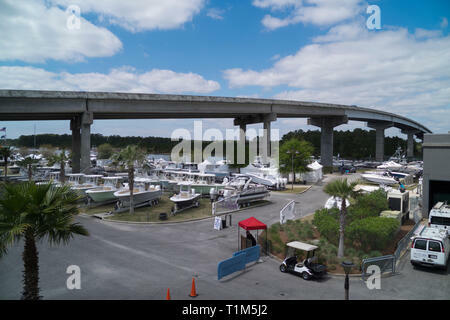 The annual yacht and boat show at The Wharf in Orange Beach, Alabama, USA. 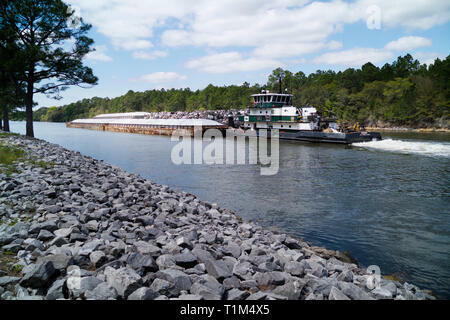 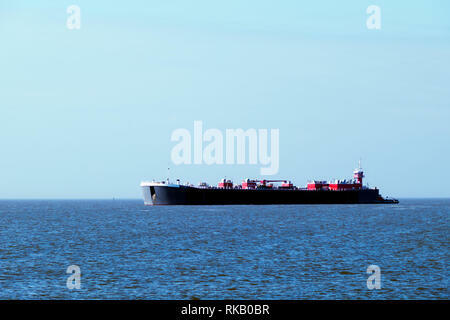 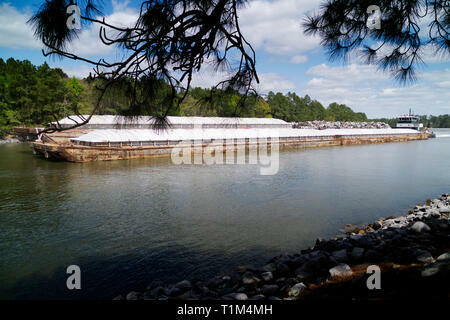 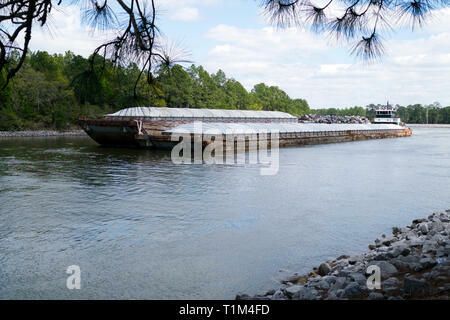 Westbound barge traffic on the Intracoastal Waterway at Orange Beach, Alabama, USA. 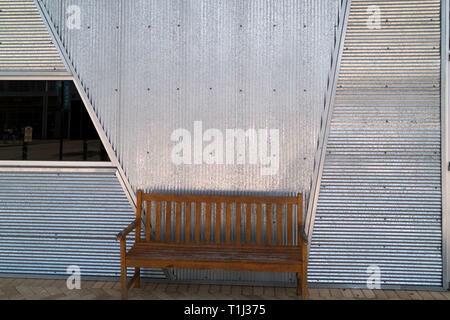 Park bench sitting outside a retail business at The Wharf in Orange Beach, Alabama. 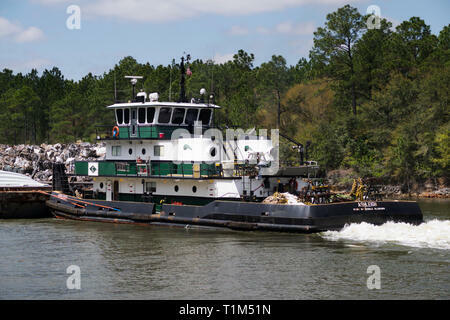 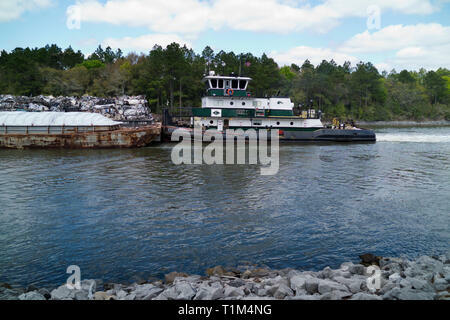 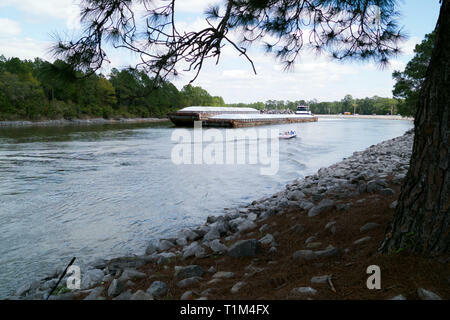 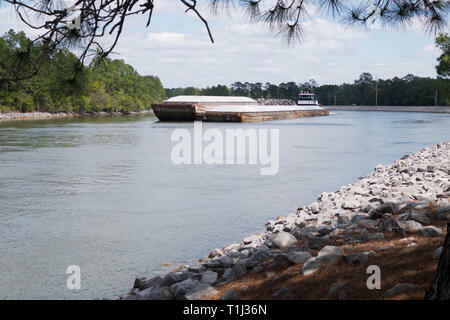 Tugboat pushes a barge westward on the Intracoastal Waterway through Orange Beach, Alabama. 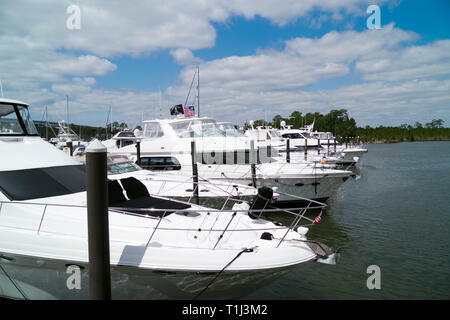 Expensive upscale yachts at dock along the pier at The Wharf Marina in Orange Beach, Alabama, USA. 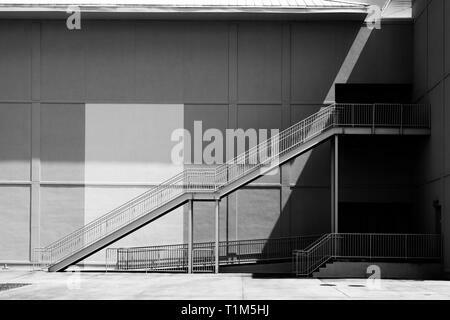 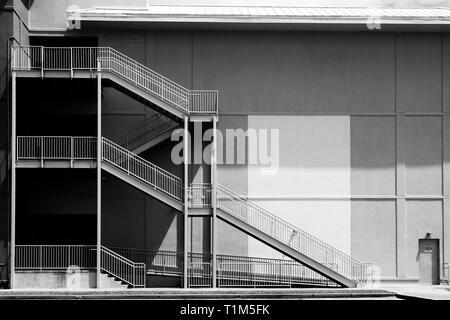 Rear view of the AMC theater in Orange Beach, Alabama, USA. 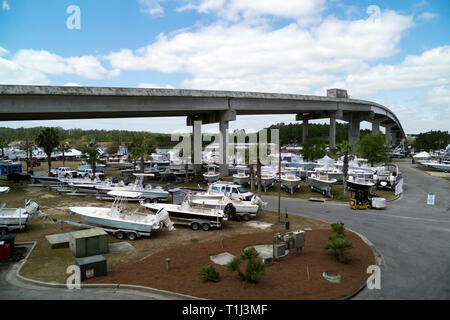 Luxury yachts moored at The Wharf Marina in Orange Beach, Alabama, USA. 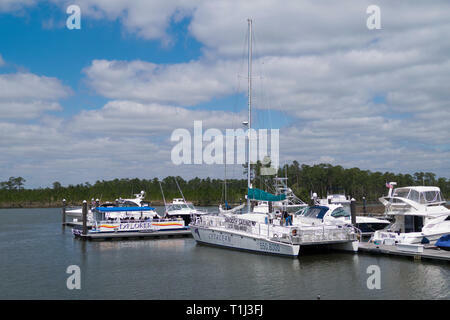 Cruise boats at dock in the Intracoastal Waterway near the Wharf shopping district in Orange Beach, Alabama, USA. 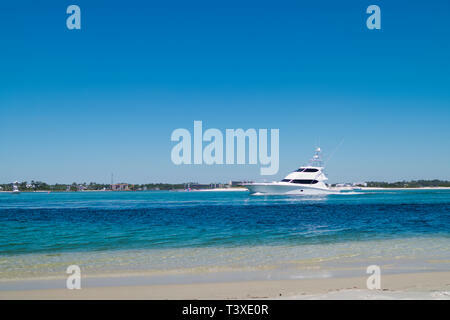 A luxury catamaran moored at The Wharf in Orange Beach, Alabama, USA. 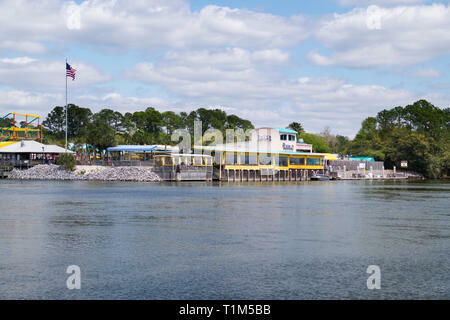 Lulu's restaurant from the southside of the Intracoastal Waterway in Gulf Shores, Alabama, USA. 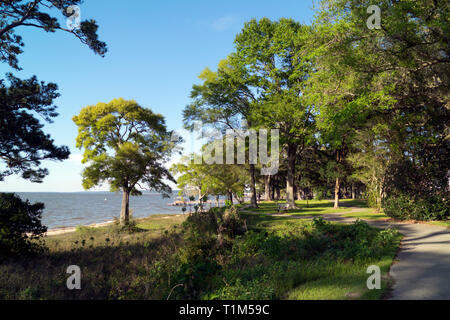 A bayside park in Fairhope, Alabama. 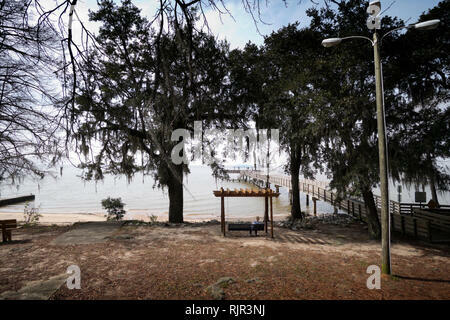 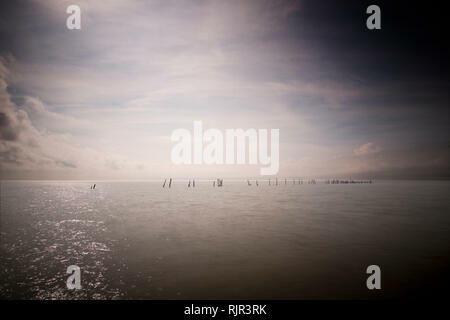 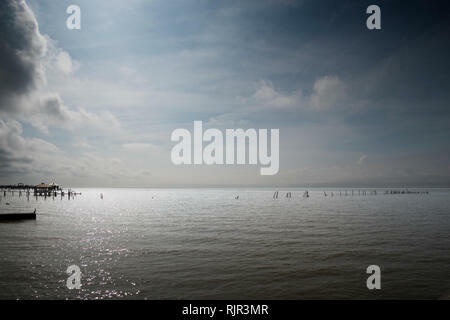 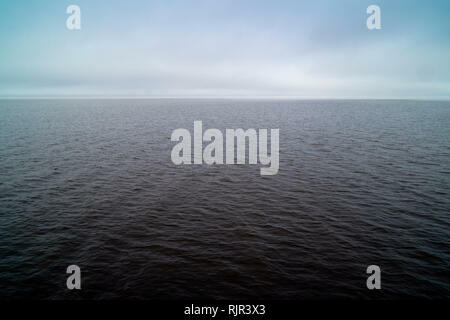 A public pier extends into Mobile Bay for fisherman and birdwatchers. 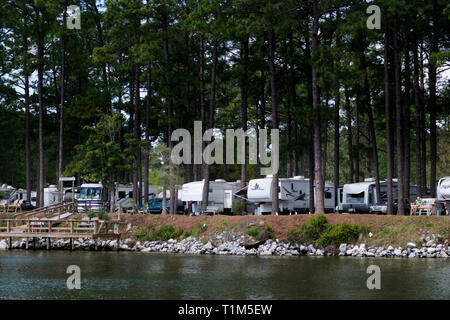 RV Park next to the Intracoastal Waterway in Gulf Shores, Alabama. 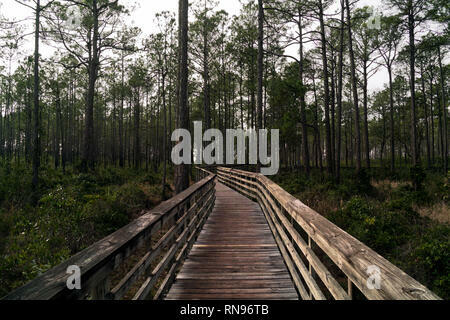 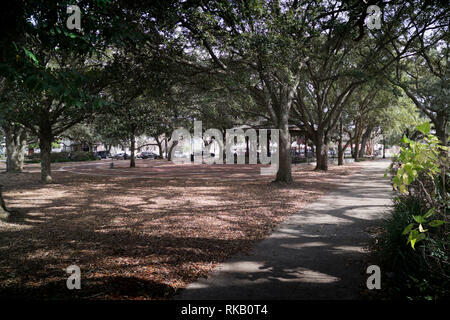 A meandering sidewalk winds through the length of a bayside park in Fairhope, Alabama. 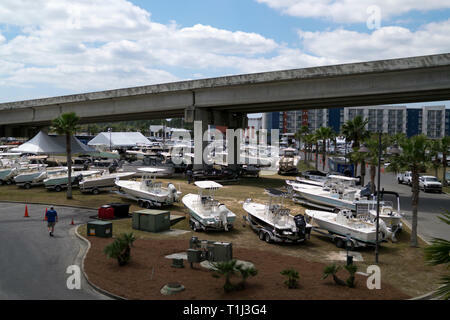 Display of boats at the annual Yacht and Boat Show at The Wharf in Orange Beach, Alabama, USA. 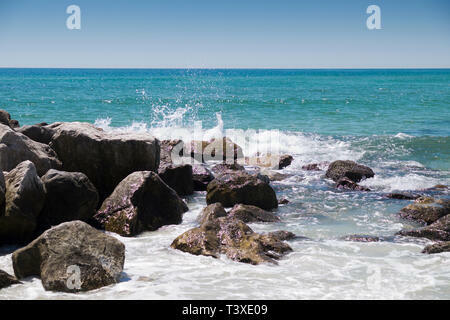 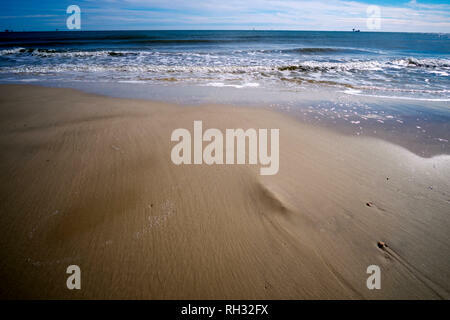 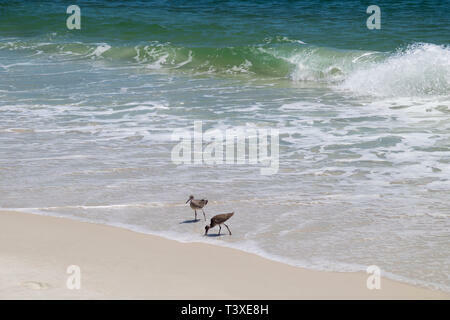 Waves rolling in from the Gulf of Mexico onto the white sand beach at Santa Rosa Island National Seashore, Florida. 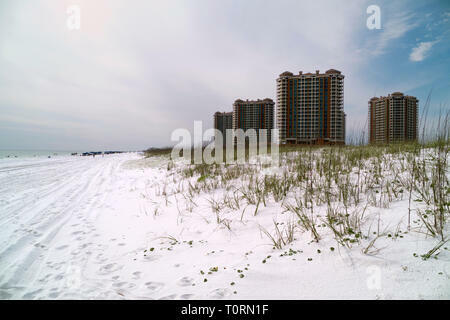 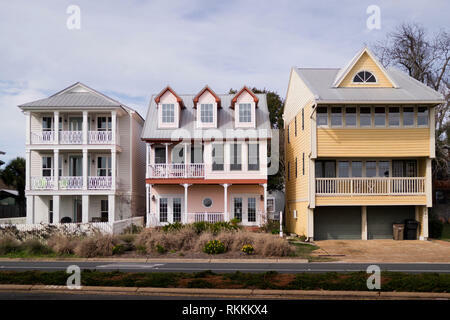 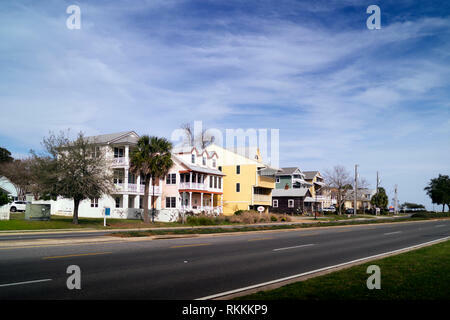 Hi-rise condominiums on Santa Rosa Island, Florida, between Gulf Breeze and Navarre Beach. 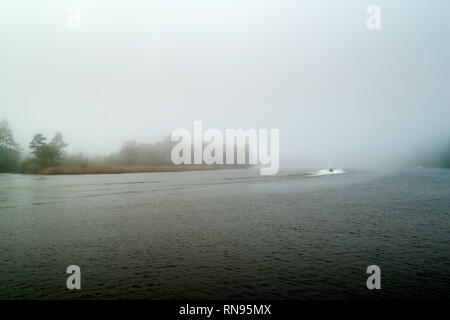 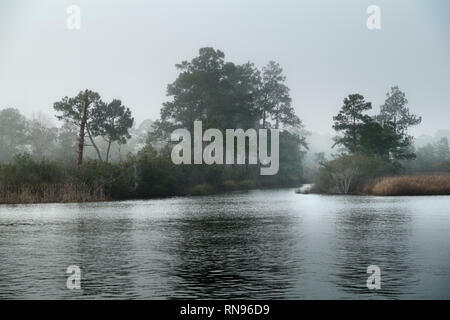 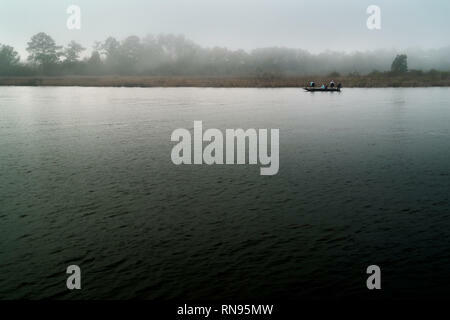 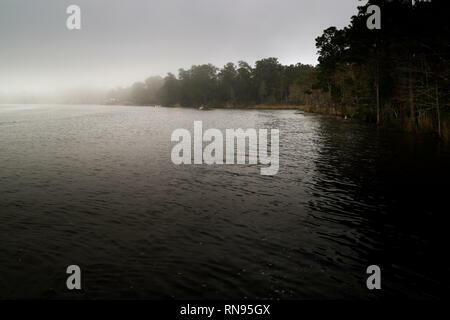 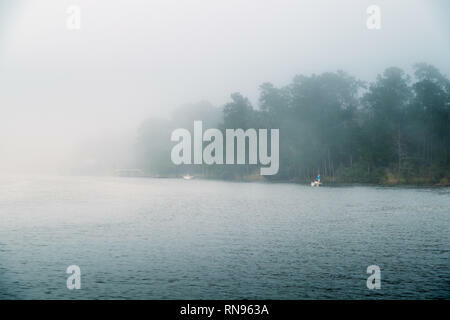 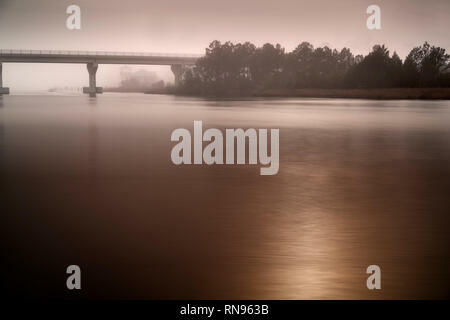 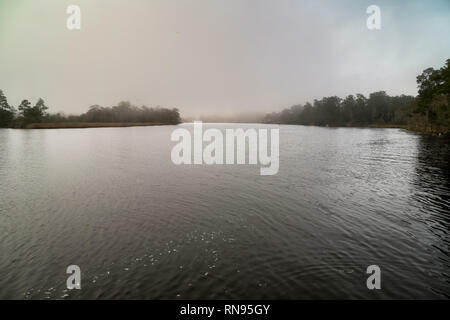 A foggy afternoon in February at the Weeks Bay National Estaurine Research Reserve. 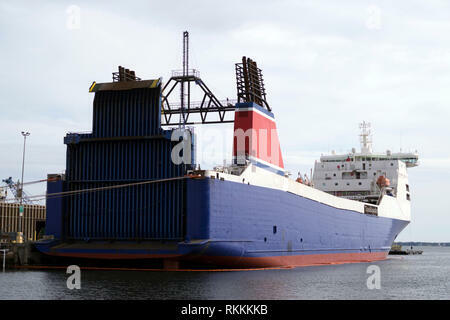 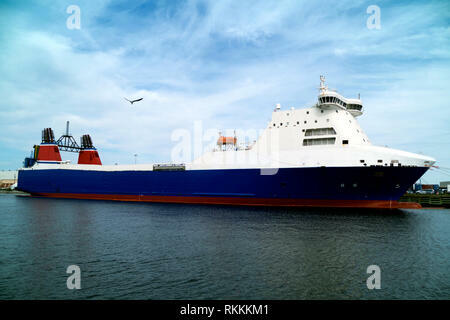 Stena Freighter, purchased by Jeff Bezos of Amazon, docked at the Port of Pensacola to be retro fitted as a rocket landing ship for Blue Horizon. 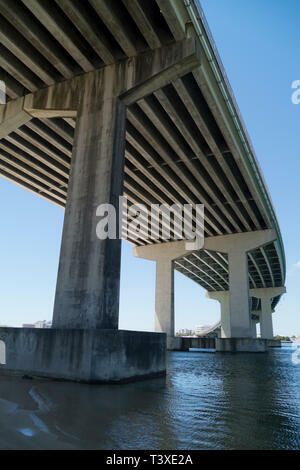 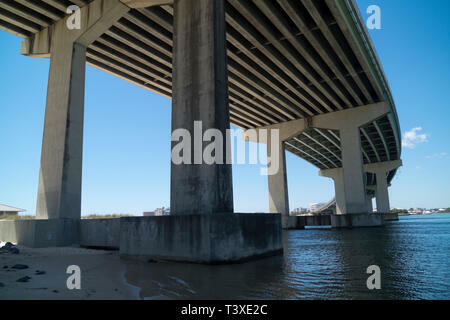 Pensacola Bay Bridge construction; February, 2019. 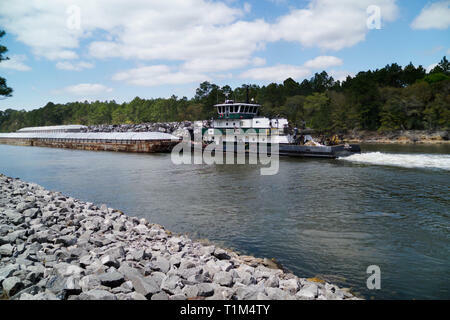 Bouchard barge #295 sits at the mouth of Mobile Bay in the shipping channel after being retrofitted and updated with new technologies. 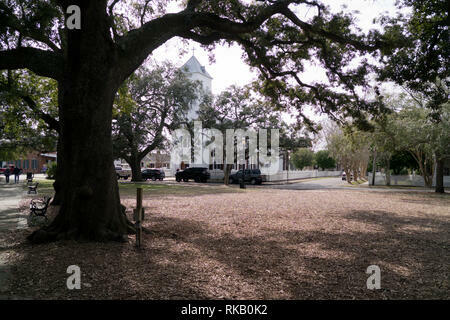 Seville Park in downtown Pensacola, Florida. 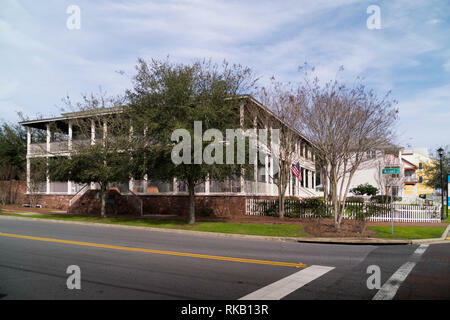 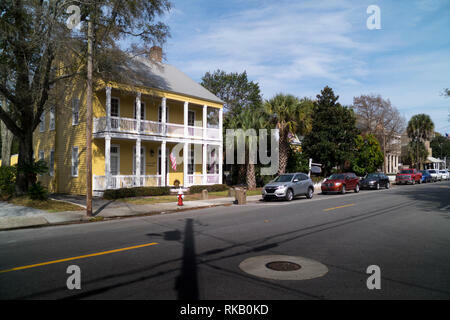 Lee House; a boutique hotel in old-town Pensacola, Florida, USA. 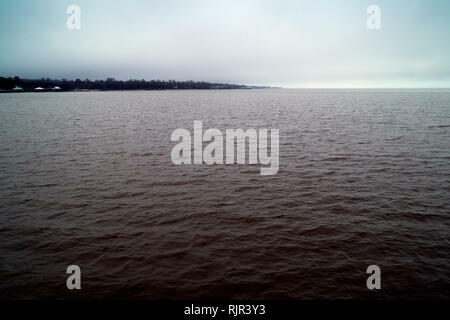 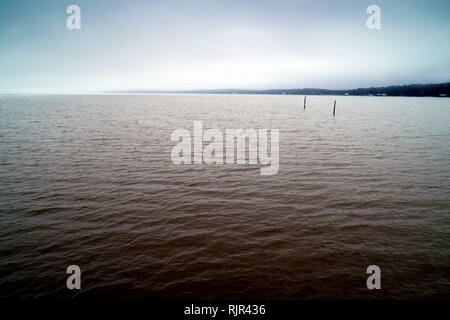 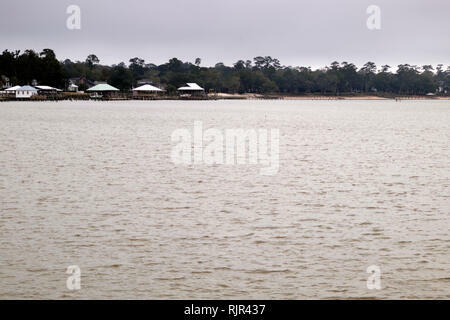 The east shore of Mobile Bay taken from the pier at Fairhope, Alabama on a dreary winter day in February. 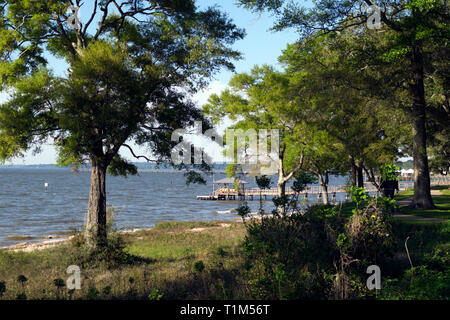 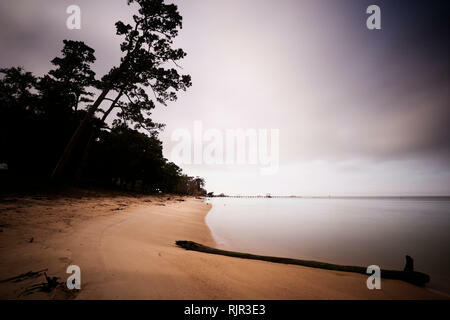 East Shore of Mobile Bay at Fairhope, Alabama, USA. 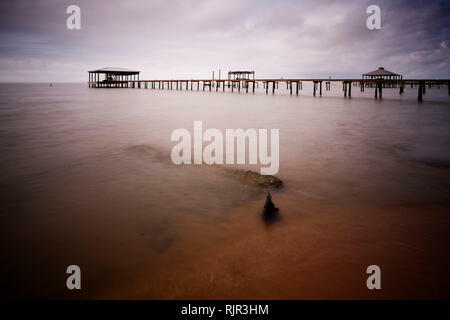 Abandoned pier at the East Shore of Mobile Bay at Fairhope, Alabama. 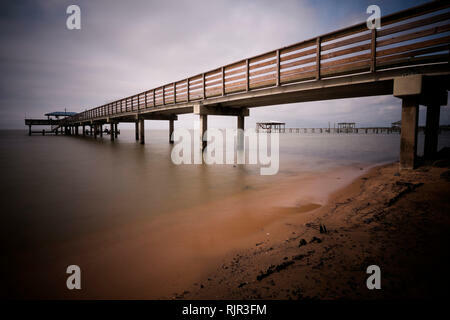 East Shore of Mobile Bay from the public pier at Fairhope, Alabama. 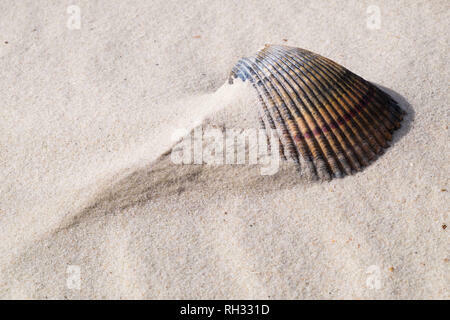 Seashells on the beach near Fort Morgan, Alabama. 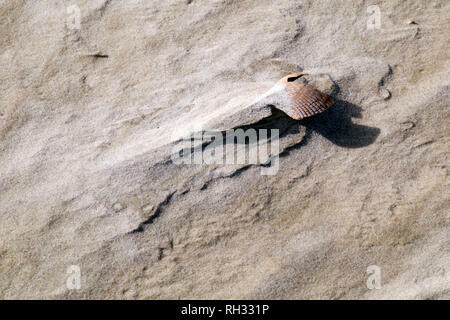 Close up shows patterns in the sand caused by wind and water erosion. 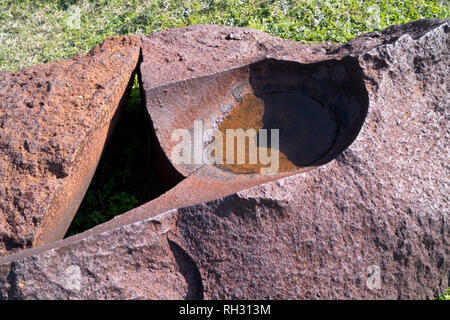 Pieces of an exploded, smooth bore canon on the grounds of Fort Morgan, Alabama. 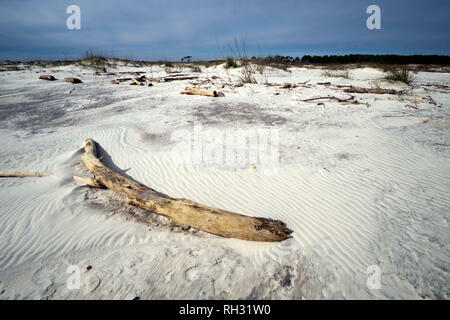 Log washed up on the beach at Fort Morgan, Alabama. 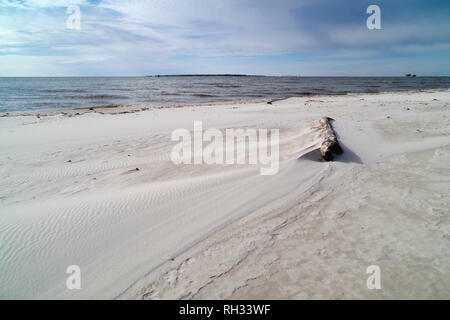 Patterns in the sand at the Fort Morgan, Alabama beach. 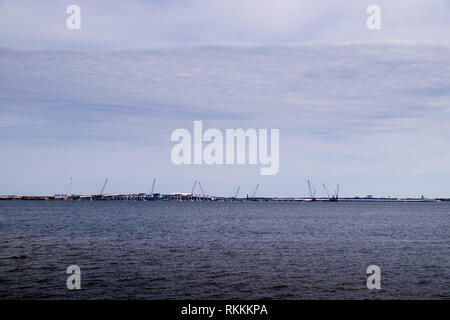 Natural gas rigs sit on the horizon in the background. 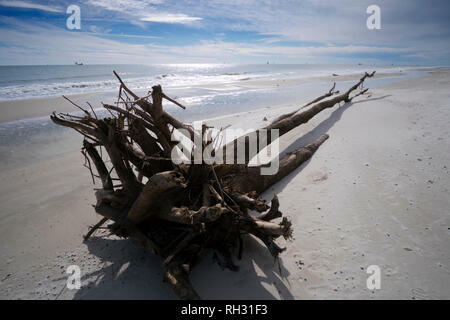 Driftwood washed up on the beach near Fort Morgan, Alabama. 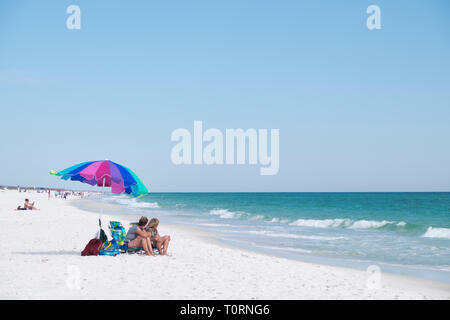 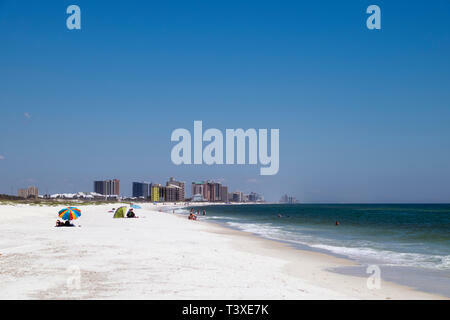 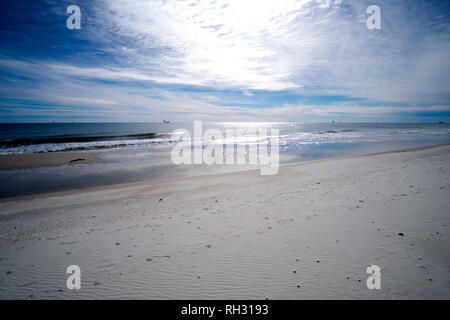 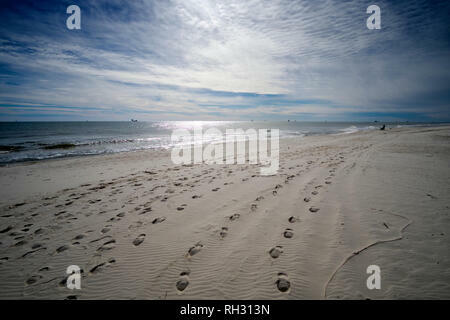 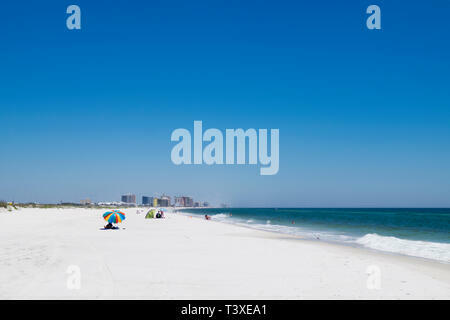 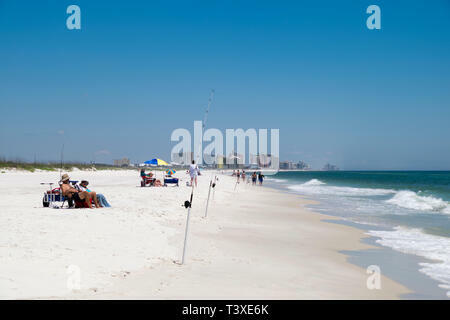 Mid-day sun illuminates the beach at Gulf Shores, Alabama near Fort Morgan. 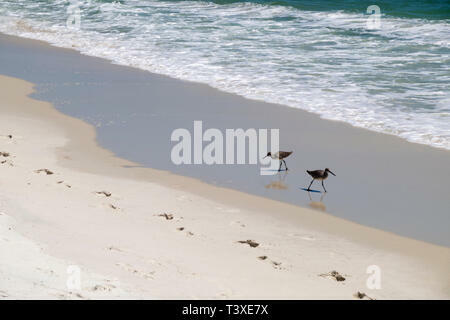 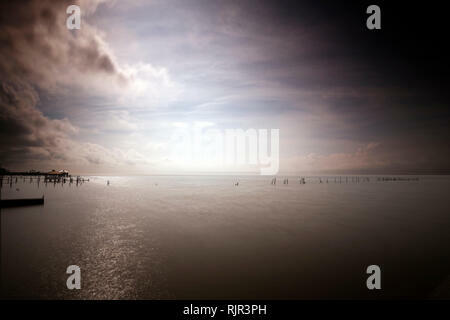 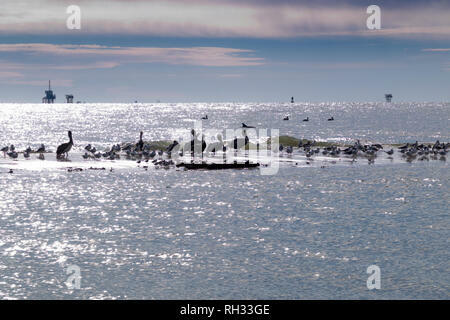 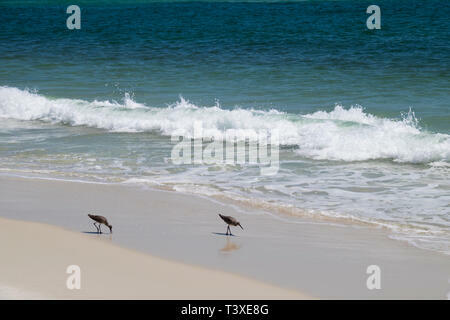 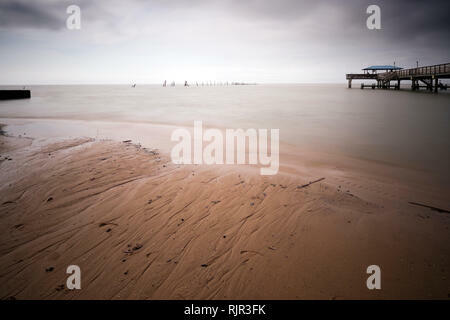 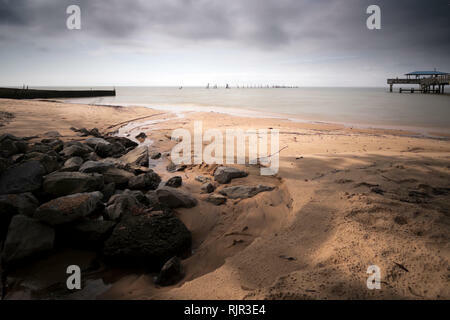 Pelicans, Terns and seagulls sit on sand bar during low tide on the Gulf of Mexico coast near Fort Morgan, Alabama. 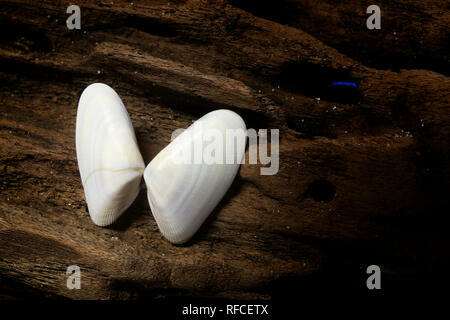 Coquina shells displayed on a piece of driftwood. 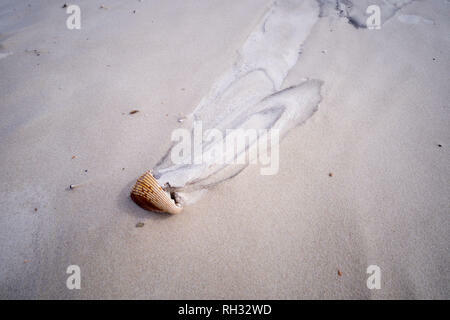 Coquina shells collected from the beach at the end of the Fort Morgan peninsula, Alabama. 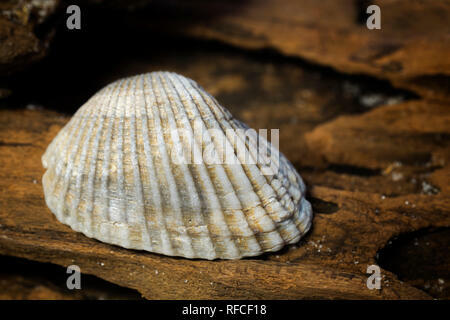 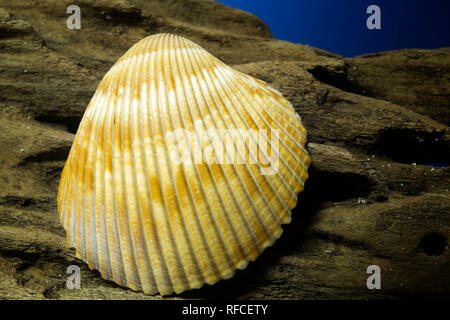 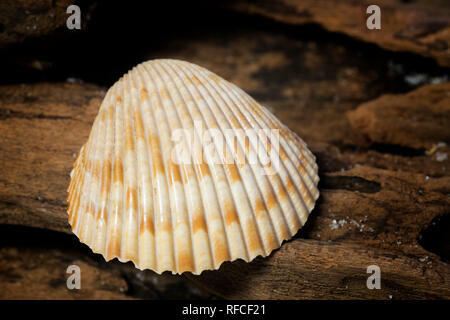 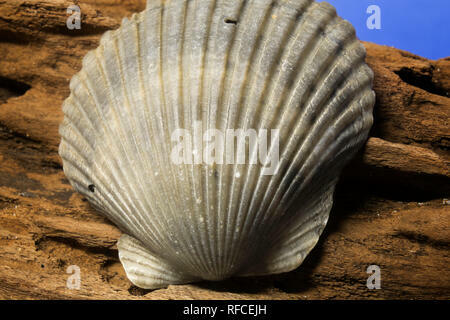 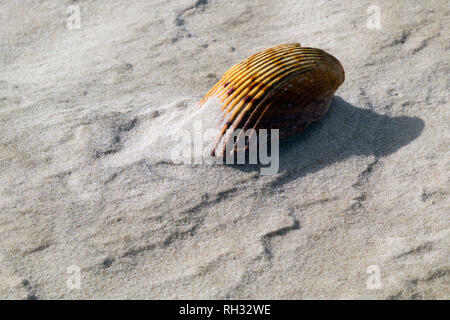 Clam shell collected from the beach at Fort Morgan, Alabama. 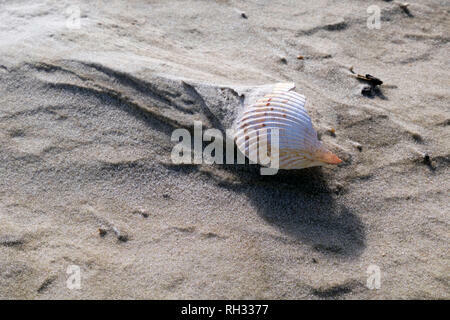 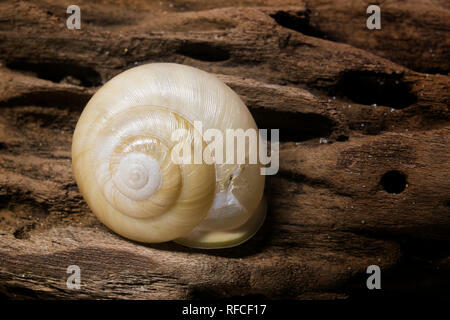 Snail shell found on the beach at Fort Morgan, Alabama. 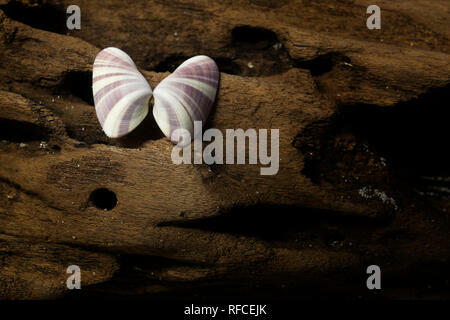 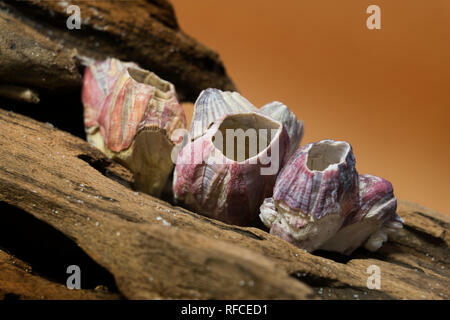 Barnacles on a piece of driftwood. 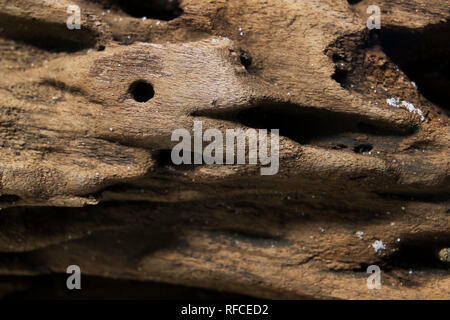 Extreme closeup of a piece of driftwood found on the beach at Fort Morgan, Alabama, USA.